Home CANCEL A BUSINESS What’s the Difference Between Cancellation And Dissolution? What’s the Difference Between Cancellation And Dissolution? Business owners may choose close their businesses for a variety of reasons. 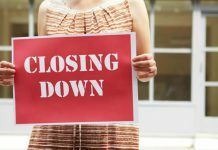 Changes in the marketplace, new business opportunities, and other factors cause business owners to choose to cancel and dissolve their companies. You might be wondering if the cancellation and dissolution of a business are two different things. Understanding the distinction between the two and knowing what’s required to complete these important steps will help you through the process of closing your business. The cancellation of a business (Master Business Licence or Business Registration) consists of ending the rights and privileges that it holds. Businesses must file their cancellation with the Provincial government in order to complete the process. You must submit all of the information that was provided when the business was first registered. This includes the company’s Business Identification Number (BIN), name, and type of business along with other information. We help businesses register their cancellation properly in order to expedite the process and prevent any unwanted issues. The cancellation of a business occurs for different reasons. Companies that want to change their name and structure or are no longer operating should complete the cancellation process. This allows you to terminate future liabilities and establish an end date for your business. Once the cancellation has been completed, provides your financial institution and any tax account branches to close existing accounts. Business dissolution occurs when a company legally terminates its existence. Companies looking to dissolve their business must consider several factors. The proper forms must be filed, and you must demonstrate your authority in registering the dissolution. If incorporated in Ontario, Tax forms must be filed and your organization needs to be in good standing prior to its dissolution. Any liabilities and assets must be resolved and distributed in order to complete the dissolution process. Other considerations include contacting the Canada Revenue Agency (CRA) and planning for any future succession. Businesses must complete final tax returns, and outstanding debts must be resolved. 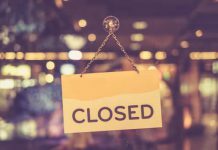 Payroll, GST/HST, and other accounts must be closed through the CRA in order to close your business. Although the process may be complex, we provide services that help you close your business and ensure that there are no remaining liabilities. This makes the process easier and reduces the amount of resources required to cancel and dissolve your business. Next articleWhat Is An Extra Provincial License And How Is It Obtained? How Do I Cancel My Business? Should I cancel my business?